we were also working on an exciting new project – a book collaboration. 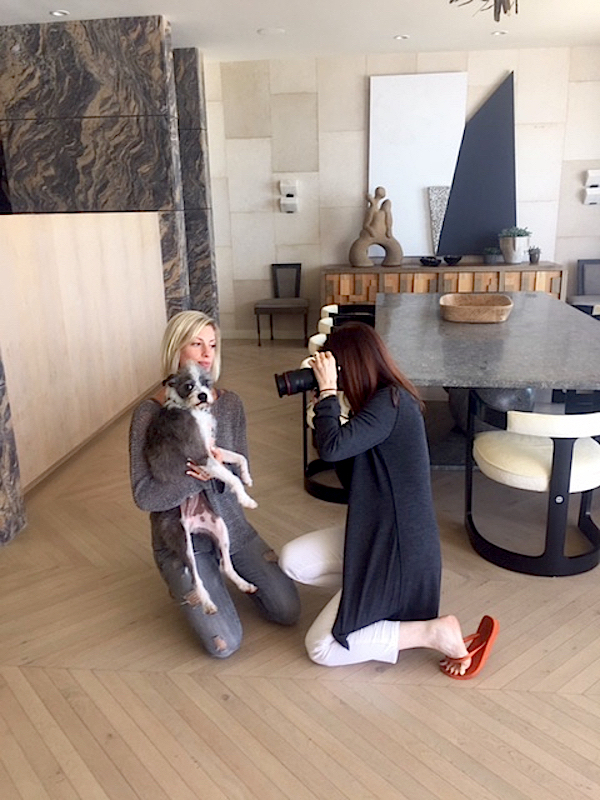 Dogs and Their Designers will be published by Rizzoli next fall (2017) with Susanna as author and me contributing principal photography. A celebratory ode to the stylish lives that top designers share with their beloved four legged family members, it will be a fun and entertaining volume for all those who love design and their pets. While some of our furry friends were proud to pose, some shyer ones needed a little coaxing. 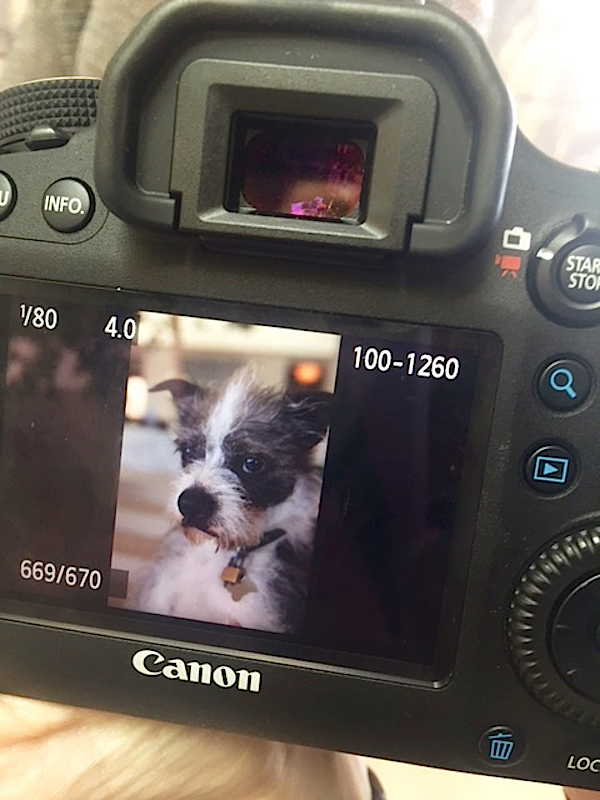 Kelly Wearstler’s amiable assistant Natasha was incredibly helpful getting Willie comfortable in front of the lens. 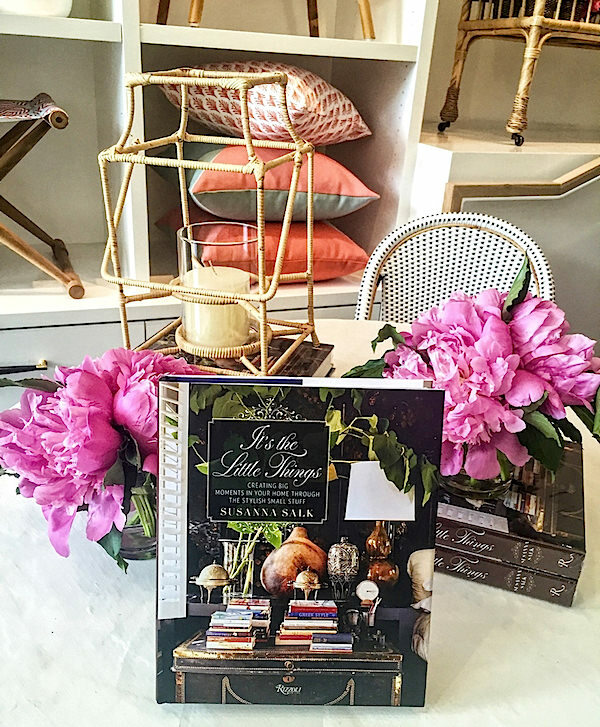 We fêted Susanna’s latest book at the new Serena & Lily store in West Hollywood. 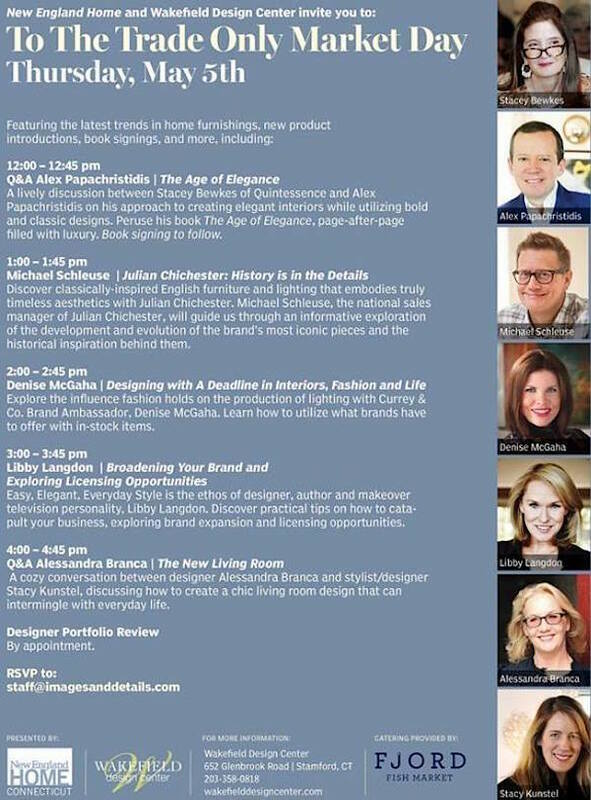 And while I miss that California sunshine, I am excited to be speaking today with Alex Papachristidis at the Wakefield Design Center To the Trade Day here in Connecticut. It’s a great afternoon of design, so if you are a professional in the area, be sure to stop by. 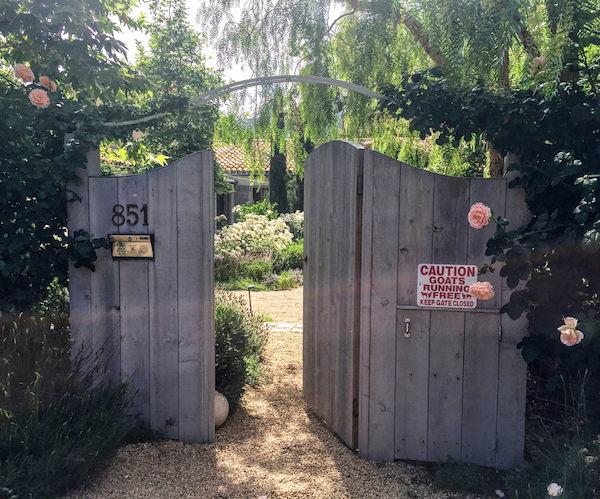 I’ll be back shortly with more design news and inspiration from my Los Angeles visit. This entry posted in architecture, interior design. Entry Tags: interior design, Los Angeles Bookmark the permalink. Hard to photograph those four legged friends. A special talent. You seem to have it, indeed. Congratulations on the project(s) and all the springtime fun/work! Love the snap of the gateway! in Ojai and an adore glimpse of the cutest pup. Eagerly awaiting more…..
What a great opportunity. Wish you share more photos. Really, really looking forward to finding out more of your visit to Patina Farm…I was hoping that you would do a video there. 80 queries in 0.454 seconds.